Do you feel like your house is being overrun by plastic grocery bags? You are not alone! 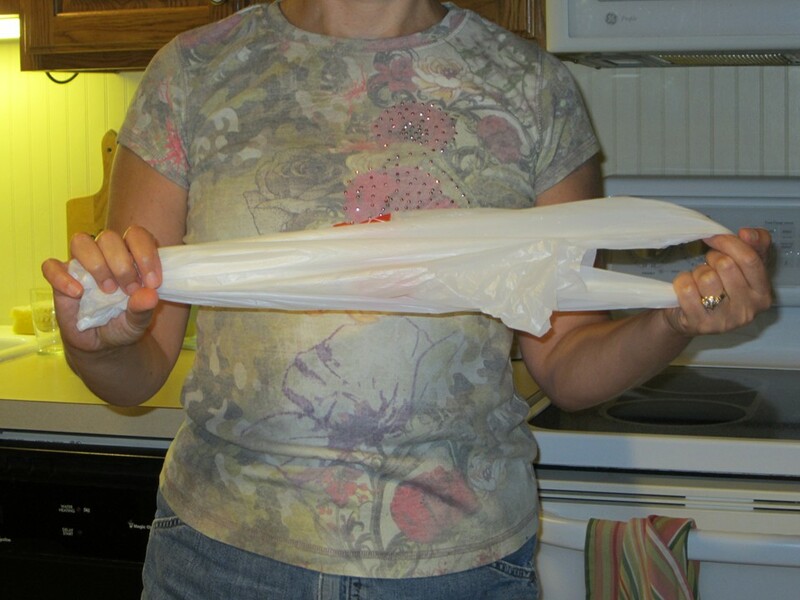 Here are some helpful hints to keep those plastic bags under control. 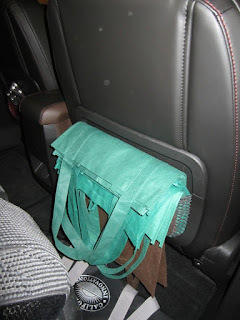 A friend of mine in New Mexico showed me a quick easy way to secure the bags so they take up less space. 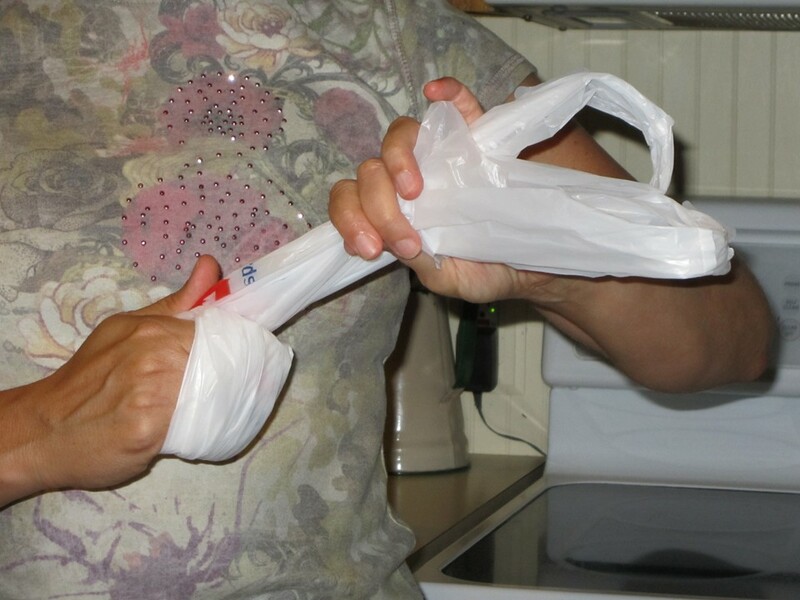 Grasping the handles with one hand and the bottom of the bag with the other, stretch the bag between your hands, flattening as you go. 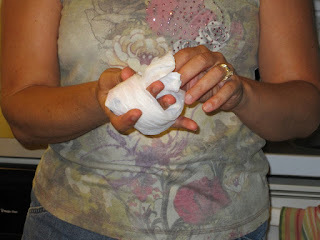 Begin wrapping the bag around the hand holding the bottom. Continue until you reach the tip of the handles. 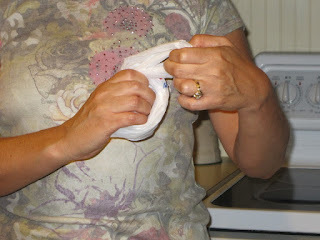 Push the handles under the wrapped bag, directing it along your palm toward your fingers. Your bag will be "knotted," taking up less space yet easy to open when you need it. While you can buy special holders for plastic bags, I'm all about recycling and repurposing. I take a cube style tissue box and fill it with the "knotted" bags. Since the bags are in abundance and readily available, I only keep one box full and recycle the rest. Beside the obvious use of carrying things in them, I use them to line my small trash cans rather than purchasing trash bags. How do you use your plastic bags? 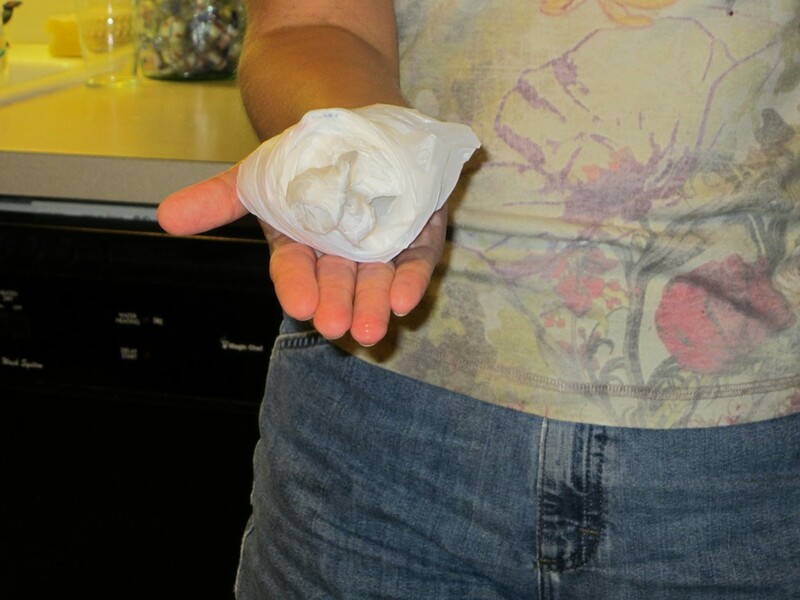 The best way to keep plastic bags under control is to avoid them in the first place. Most stores have reusable grocery bags available for about $1 each (though sometimes you can even get them for FREE!) I've had the same bags for years and they've held up fine. I try to use reusable, too. It's easy for the grocery store but other shopping I struggle with. So I try to combine as many as possible. One store gives me a bag and I keep adding other purchases. I still end up with way too many. Great post. 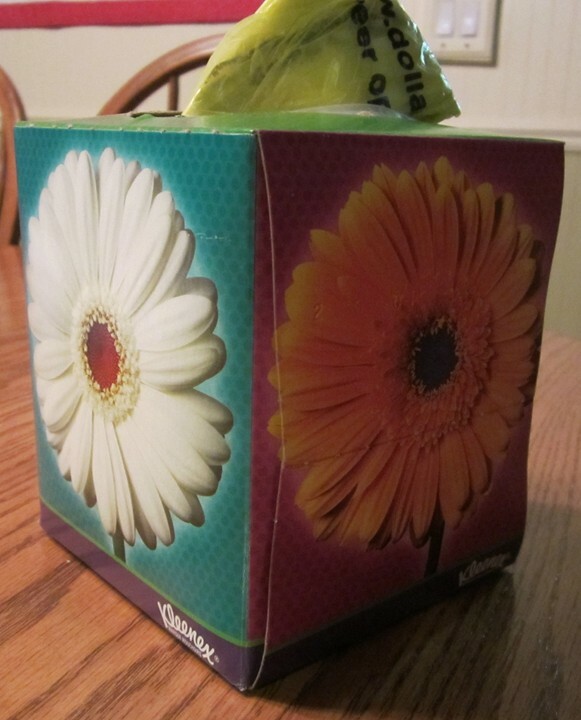 I love using the kleenex box. Very clever. Thanks for sharing. I posted too. And I have a give a way going come by and visit me. 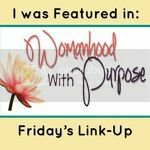 Thanks so much for stopping by Thrifty thursday rewind! Love this idea since I have so many bags but try to be environmental w/my own bags for grocery shopping. Wow, I never thought of condensing the plastic bags for storage. I try to use cloth bags as much as possible and recycle the plastic bags that do come into our home. 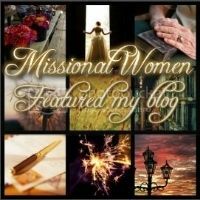 Ordinary Words...I'm with you on avoiding those bags♫ If I'm in my husband's car running errands though, I find myself chagrined that I forgot to put a tote back in his car!! I really appreciate it, these are the little little things that we can avoid wastage and maintain an eco-friendly environment.